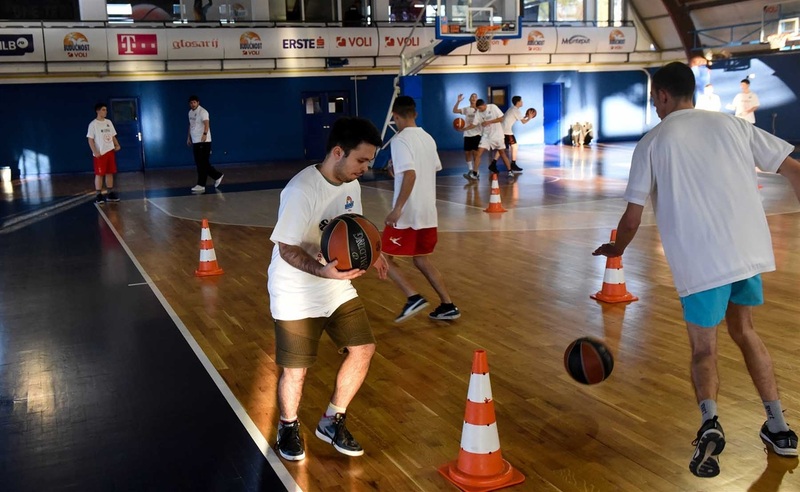 In its first season in the Turkish Airlines EuroLeague since 2002-03, Buducnost VOLI Podgorica has also joined the competition's social responsibility program, One Team, for the very first time. With Special Olympics Montenegro as its social partner, the club is running a program of activities throughout February and March on a weekly basis, with five athletes aged 16 to 22 who suffer from intellectual disabilities working alongside five players from Buducnost's youth categories. The main goals of the program are understanding diversity and inclusion, and giving the participants day-to-day health benefits by improving their physical condition through the sessions. 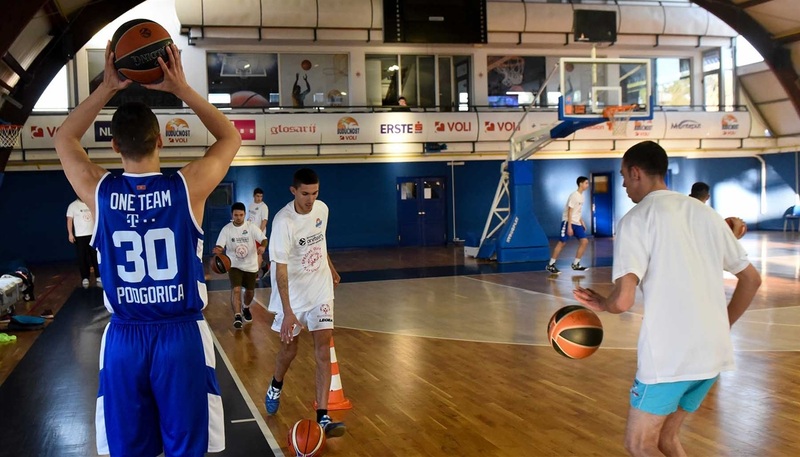 Buducnost dedicated time before the tipoff of its home game against FC Bayern Munich on March 1 to the program, providing a great opportunity to share with all the fans the meaning of the program and the accomplishments of the participants. "Our club's motto this year is: This is our house. And in our house we are all One Team. Unified as a team, we can achieve unimaginable things. I am proud that my club is leading such a noble program. I am always open to help, support and emphasize the importance of this project." Buducnost's debut involvement in One Team has quickly won over a lot of converts to the cause, including the club's media director Luka Novakovic. "I will try to get this topic, which I consider to be very important for the community, through to the media as much as possible," Novakovic said. "My hobby is coaching, so next year I am planning to join One Team as a coach." Buducnost is now intending to make its involvement a long-term commitment, according to One Team Manager Vladana Z. Knezevic. "We understood the significance of the project and did everything to start it and make a change," Knezevic said. "We are already making plans for next season. Once again, many thanks to Special Olympics Montenegro, our social partner."